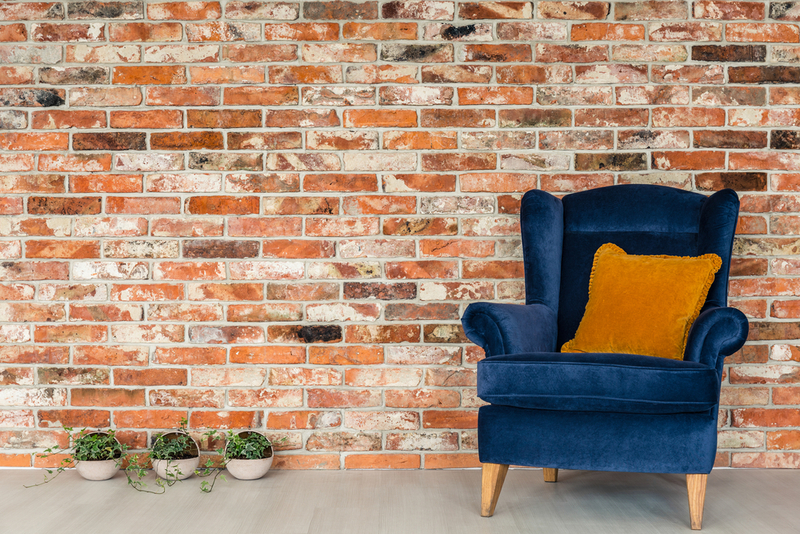 When it comes to decor, one way to stand out from the rest is to utilize complementary colors. 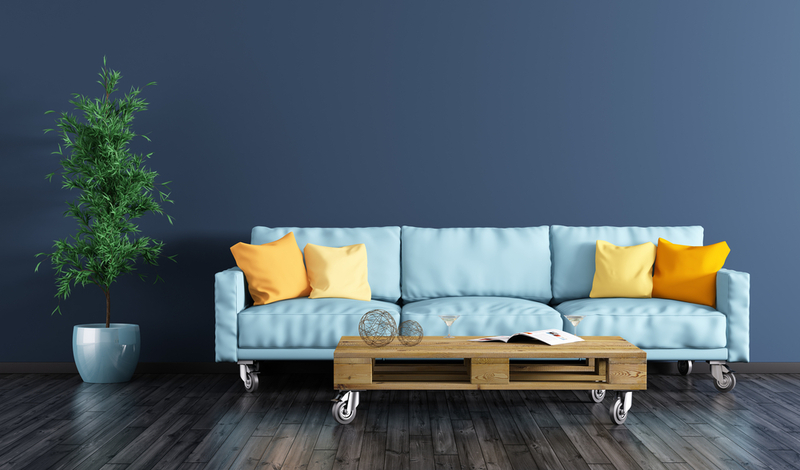 Complementary colors are opposite each other on the color wheel and when combined in the right proportions they produce white light; when paired together in an apartment, they produce enviable decor for your home. Amongst all the combinations, blue & orange is typically the most approachable, but still delivers a fun punch of color. For a rustic feel, pair a dark navy with a burnt orange on your couch or bedspread. For a more serene aesthetic, a light, sky blue alongside bright orange offers a calming combo, similar to this layout we found on Cottage Modern. Or, punch up your cerulean wall with orange candles, throw pillows, and other accents throughout your space. Depending on your style, this aesthetic can be deep and bold or light and airy. Regardless, it will have guests asking who your interior decorator is. 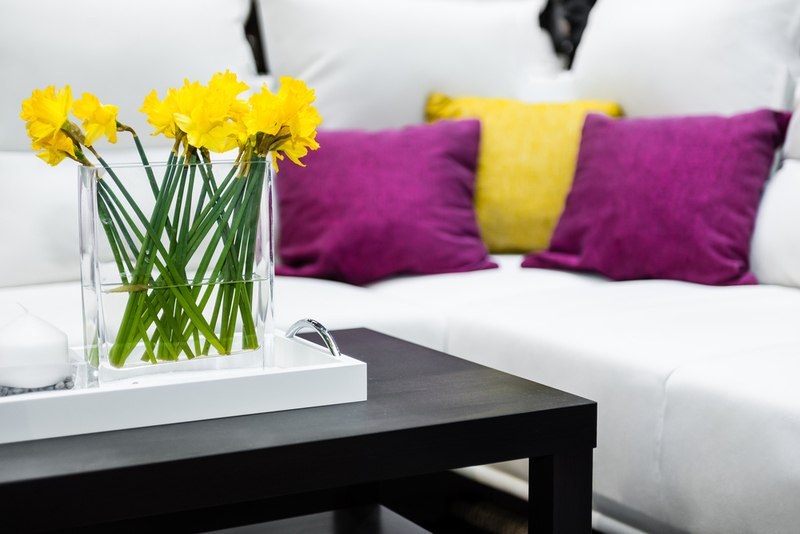 Popular amongst risk-takers, purple and yellow can be stunning in a variety of ways. Similiar to blues and oranges, both bright and dark tones can be utilized. When incorporating radiant purples and bold yellows, accent pieces work best such as the pillows above. 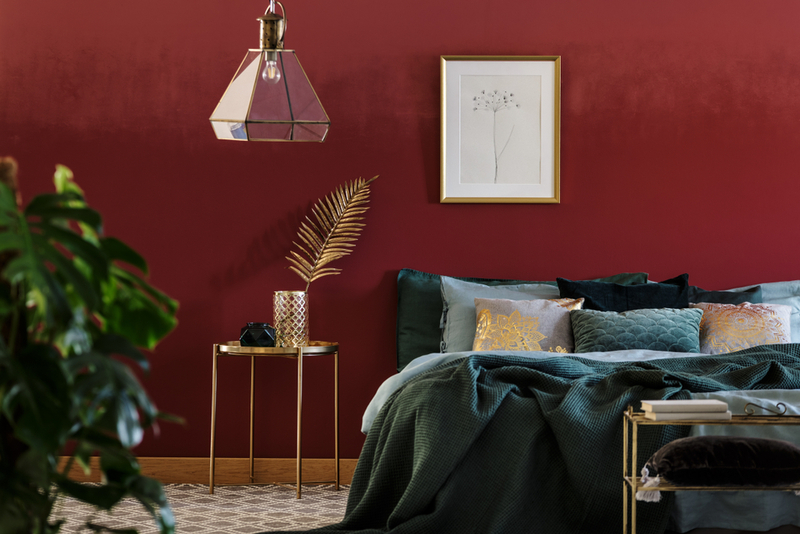 For richer tones such as plum, eggplant, and mulberry, a striking gold accent will exude opulence, especially on a purple area rug with surrounding gilded pieces such as lamps, sculptures, and candle holders. A marriage of softer tones such as lavender and pastel yellow offers a delicate touch to any home, whether it be a spring table setting or a centerpiece of multi-colored flowers. For regal elegance that is anything but ordinary, red and green is the way to go. For this combination, it’s typically safer to work with deeper tones such as burnt reds and emerald greens. Vibrant colors risk the chance of appearing festive and out-of-season. Another option is to skip across the saturation spectrum and opt for soft hues. A set of blush and sage-colored candles serves a muted elegance that is entirely unique. Are you in the market for a new home to call your own? Lincoln offers stylish apartments all over the country. Contact us today to schedule a tour at a community near you.